Rediff.com » Business » Budget dilemma: Strict fiscal discipline or fund rural growth? Budget dilemma: Strict fiscal discipline or fund rural growth? BJP’s reversals in rural Gujarat has prompted many policy watchers to predict that the Budget would have incentives for the agriculture sector and the rural economy. The government would have to walk a fiscal tightrope if it offers, as is widely believed, more sops for the rural and agriculture sector in the 2018-19 Budget. Irrespective of what happens with the fiscal deficit target this year, top government officials are not in favour of a fiscal relaxation in 2018-19, Business Standard has learnt. As such, the government has little room for enhanced spending. The fiscal deficit target for next year, according to the Fiscal Responsibility and Budget Management (FRBM) Act, and the report by the FRBM committee, should be 3 per cent of gross domestic product (GDP). For 2017-18, the fiscal deficit target has been budgeted at 3.2 per cent of GDP. On Monday, the ruling Bharatiya Janata Party retained Prime Minister Narendra Modi’s home state of Gujarat and wrested Himachal Pradesh from the Congress. 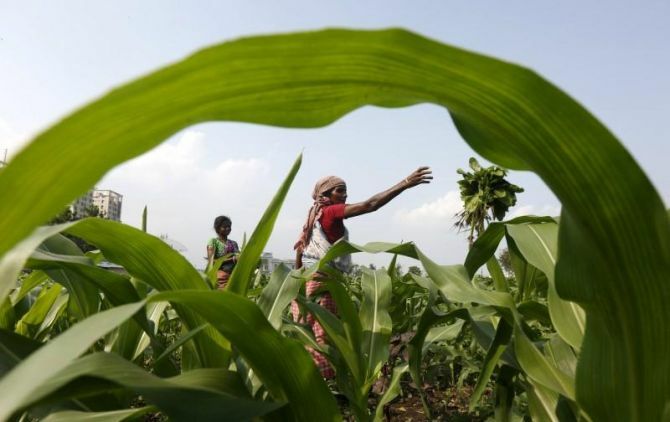 However, the BJP’s reversals in rural Gujarat has prompted many policy watchers to predict that the Budget would have incentives for the agriculture sector and the rural economy. Any such spending push would have to be done keeping in mind the strict fiscal deficit target as well as the end of the oil “honeymoon”, as crude prices touch $65 a barrel. Officials who have interacted with the Prime Minister’s Office said Modi was of the opinion that the deficit targets were sacrosanct, especially in light of recent concerns raised by rating agencies Moody’s and Standard and Poor’s. Finance Minister Arun Jaitley was also said to be in favour of maintaining the fiscal glide path next year. There was acceptance that due to the goods and services tax this year, there might be a slight deviation. Officials maintained that has to be corrected in 2018-19. “Governments around the world are expected to be fiscally disciplined and I expect India to be no different,” said Rathin Roy, member of the Economic Advisory Council to the Prime Minister. A senior government official and a member of the Fifteenth Finance Commission (FFC) told Business Standard the Budget-makers would have to find a balance between delivering some pleasing announcements in the last full Budget before 2019 general elections and maintaining budgetary credibility. “There will be some constraints. "Oil prices are a factor. We will also have to see how GST projections play out for next year. "The government cannot shy away from its commitments on social and rural sector schemes, as well as capital spending,” the government official said. The FFC member pointed to a term of reference specific to states in the commission’s mandate. “The prime minister has had first-hand experience as chief minister of Gujarat that spending should not be dictated by populist compulsions alone. "That is why this term of reference was included. It is obvious that when a central government warns states against populist spending, it will shun populism as well,” the FFC member added. The 2018-19 Budget might assume an average crude oil price of $65 a barrel. For Budget 2017-18, the price assumed was $55 a barrel. Will Jaitley's Budget cheer pensioners and India Inc?